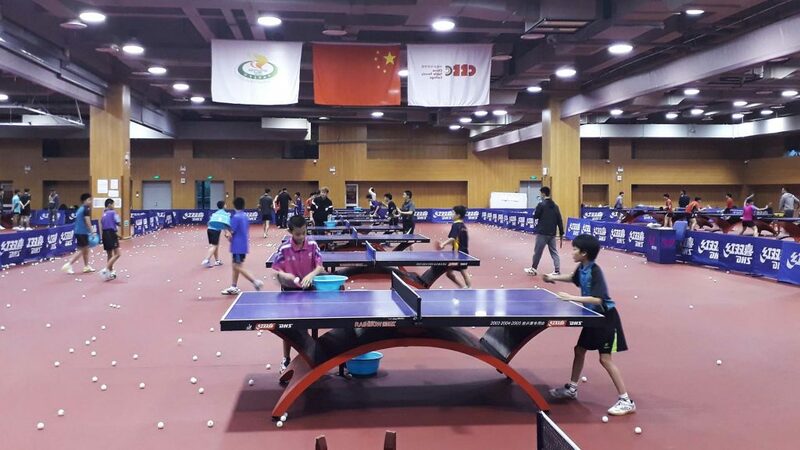 A flight to Shanghai, the destination the China Table Tennis College, the goal to increase knowledge; such was the recent venture for a young aspiring Belgian coach. Organised under the direction of the Mentorship Programme administered by ITTF High Performance and Development, Carlo Agnello was present from Sunday 11th to Sunday 18th November; the focus of attention being the “passive game”. During the week he studied closely the work of Du Peng, Zheng Chaoying and Cao Ziwei as they coached the young boys, for the girls he followed the example set by Li Nan, Huang Xiaojun, Chen Cheng and Cheng Lixian. Throughout Liu Ruizhi, the head coach in the role of mentor, administered matters, arranging a schedule which proved more than ideal. 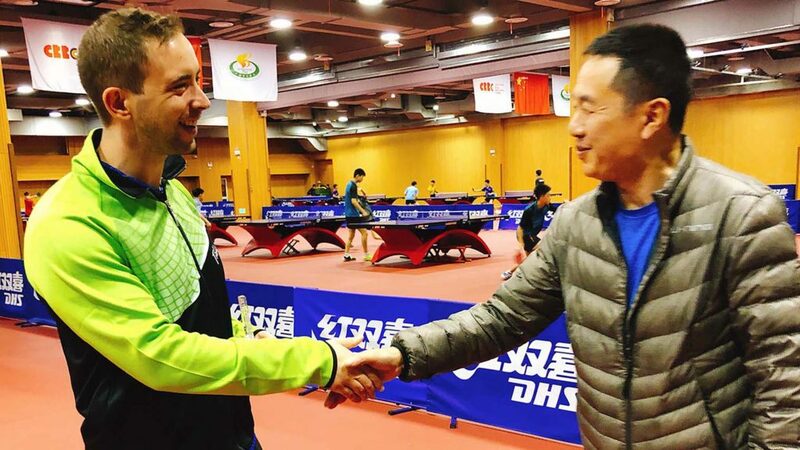 Furthermore, he met and discussed various subjects with Shi Zhihao, former Head Coach of the Chinese Women’s Team and now an ITTF Executive Vice President. State of the art premises, accommodation next to the training hall, true to the best Chinese traditions both facilities and organizational matters were the height of perfection. During the week, Carlo Agnello was able to watch various groups of players in action. He witnessed cadet boys, under 13 boys, cadet girls and a group of students demonstrating their skills. Furthermore, although the “passive game” was the principal topic, he was able gain more knowledge on the subject of the short game, techniques, tactics and in general the approach to coaching in China. Very quickly Carlo Agnello felt at home, integrated into proceedings, each session he followed the work of a specific training group and thanks to the translation services of Liu Ruizhi was able to ask detailed questions; when translation was not available, hand gestures and simple English provided the solution. In addition Carlo Agnello was able to visit the International Table Tennis Federation Museum and the China Table Tennis Association Museum in Shanghai. A most valuable experience and on returning home produced a detailed report which reflected the admirable shown during the visit.